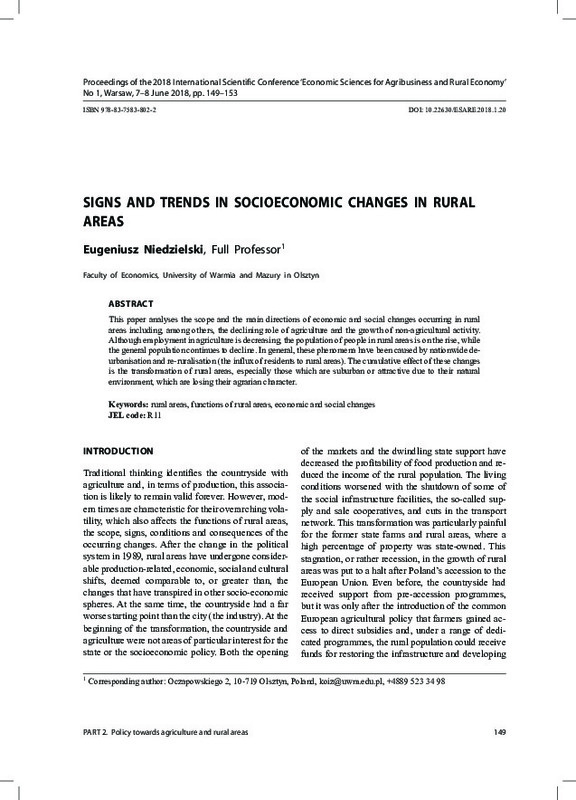 This paper analyses the scope and the main directions of economic and social changes occurring in rural areas including, among others, the declining role of agriculture and the growth of non-agricultural activity. Although employment in agriculture is decreasing, the population of people in rural areas is on the rise, while the general population continues to decline. In general, these phenomena have been caused by nationwide deurbanisation and re ruralisation (the influx of residents to rural areas). The cumulative effect of these changes is the transformation of rural areas, especially those which are suburban or attractive due to their natural environment, which are losing their agrarian character.